car genre. 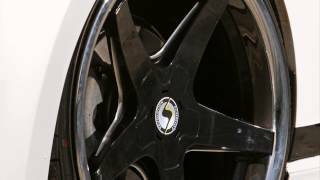 However the company is about to change the tradition and is all prepared to mark a new entity with Volkswagen Golf VI GTI 2015 by Ingo Noak Tuning. The model now gets wider body kit and few engine enhancements that make the model more powerful. Let us have a look at the review of Volkswagen Golf VI GTI 2015 Ingo Noak Tuning to know in detail about all the upgrades and new power figures of the model. 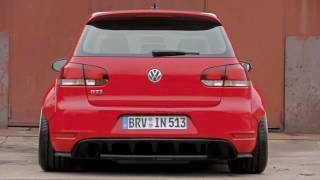 What’s new in Volkswagen Golf VI GTI 2015 Ingo Noak Tuning? The upgrades in Volkswagen Golf VI GTI 2015 Ingo Noak Tuning include exterior body work to improve performance and looks. The front fascia has a spoiler while the upper portion gets new set classical headlight masks that give an aggressive look to the front end of the model. Moving towards the side it has RS V2 side skirts that don’t just make it look sportive but also lower the visual appearance of the model. Moving towards the rear end there are three-inch bug pipes in exhaust system with special titanium tail pipes. There is also a diffuser while the list of options from the tuner includes roof-edge spoiler. This is all that we noticed and company shared in context to the upgrades made in Volkswagen Golf VI GTI 2015 Ingo Noak Tuning, let us sees how far the model puts its performance and gets the hike in power output. Beneath the hood of Volkswagen Golf VI GTI 2015 Ingo Noak Tuning sits the same 1.4 liter TSI engine. However with the above mentioned upgrades the engine now generates total output of 140 hp and peak torque of 250 nm. Company also claims that by using a performance boosting module names as the RaceChip Ultimate they can easily squeeze around 179 hp and 315 nm torque. Let us see how far the calculation sits but for now the former calculation is something that we can rely upon.